Garment finishing is the final process to ensure that the end finished product is presented in a way to maximise your potential to promote and sell your products. Our garment finishing services include the all forms of garment re-labelling, the application of swing tickets or swing tags plus folding and bagging your garments. These service help to maximise the added value of your products whilse ensuring the garments promote exclusivly your own brand image. All of these services are 100% bespoke and can be tailed to suit your specific needs and requirements. 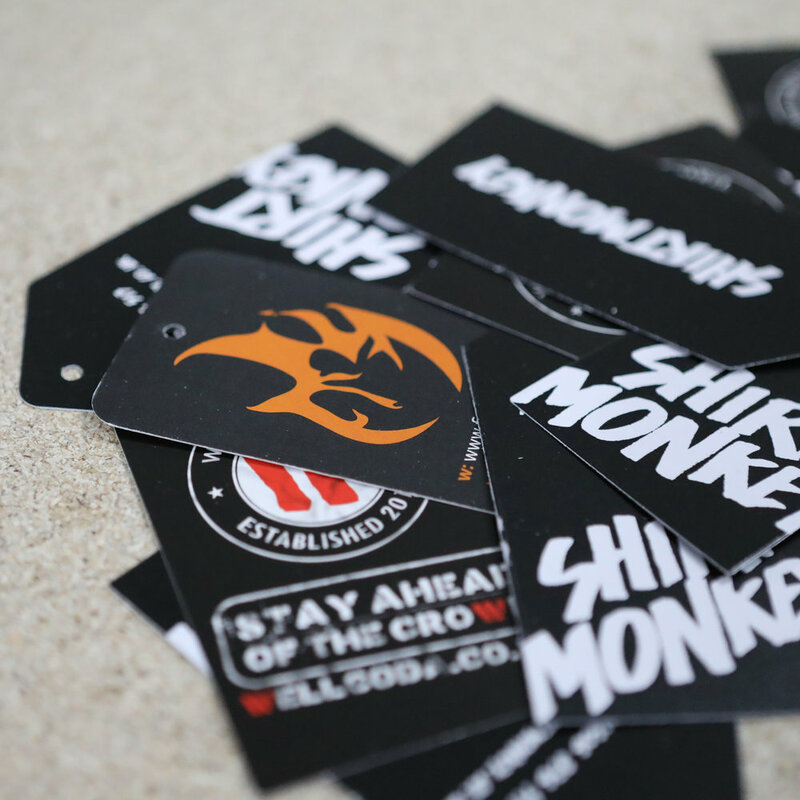 Re-labelling is the process of sewing your own customed made labels, tags or patches onto or into the final product. Add a custom printed swing tickets to display your company logo, brand image, pricing, web address and any other details to help promote your brand. 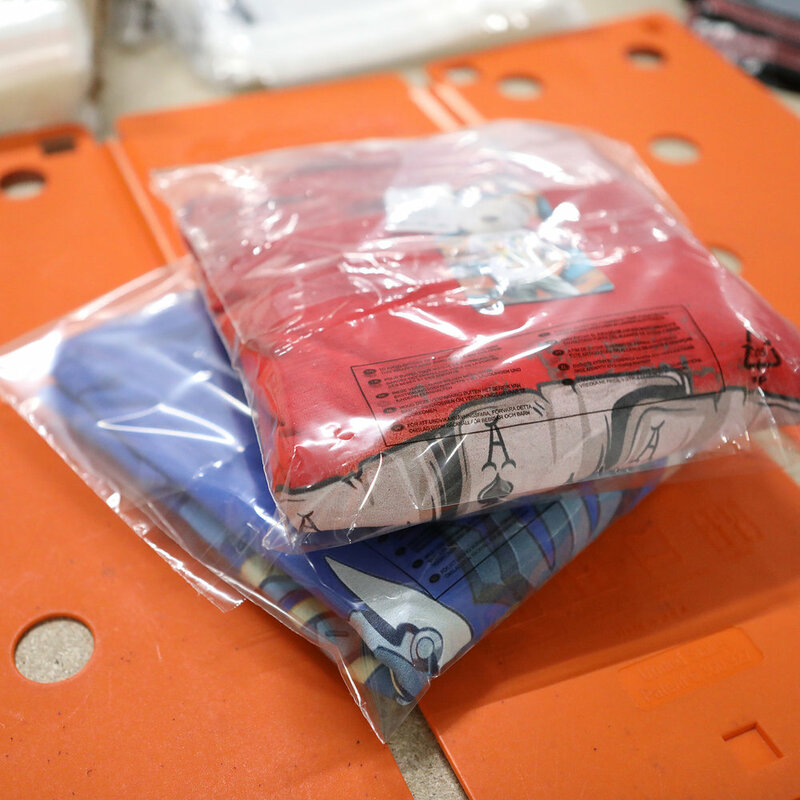 Folding & bagging allows you to ensure that the final product remains neat and tidy once we dispatch it from our warehouse.